2. Choose letter font: Regular bolt, Script, Bamboo. Letters might be limited by the background size. All names made by free hand stitching, minor different may happen. 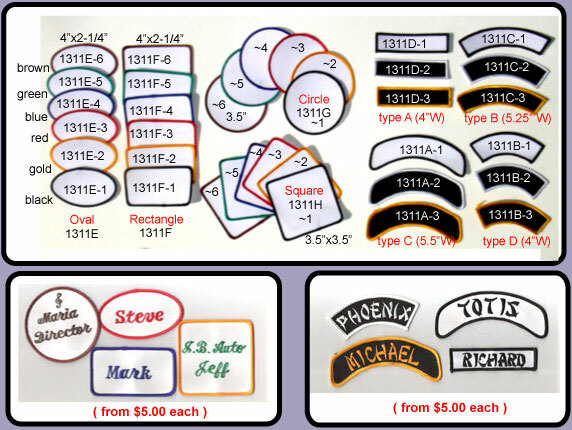 All name patch please order by FAX or E-Mail.